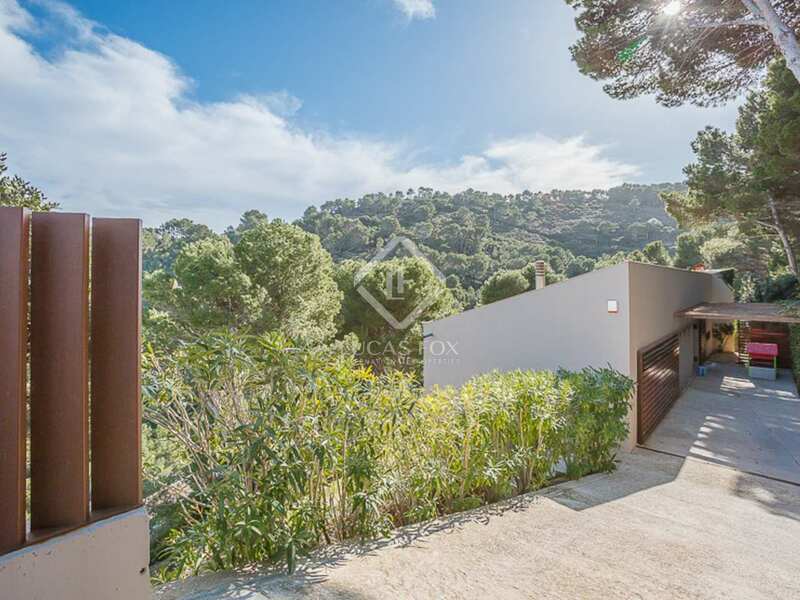 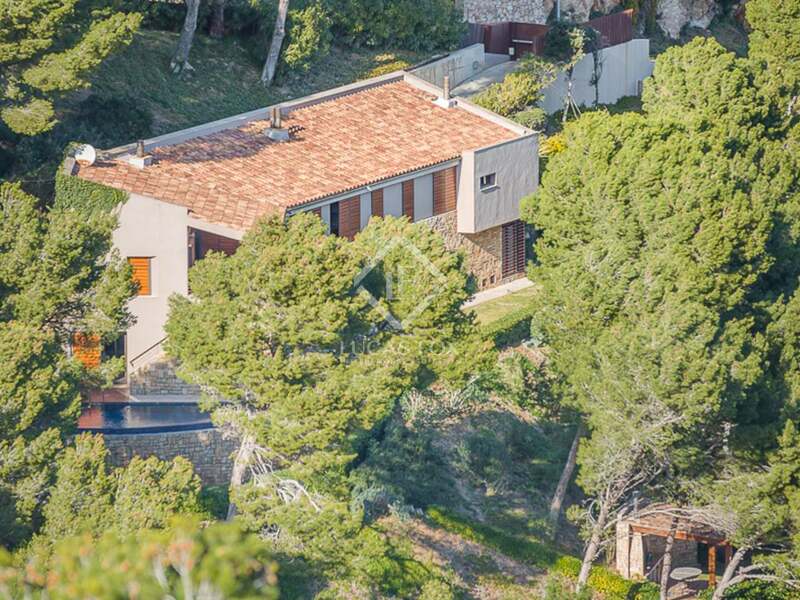 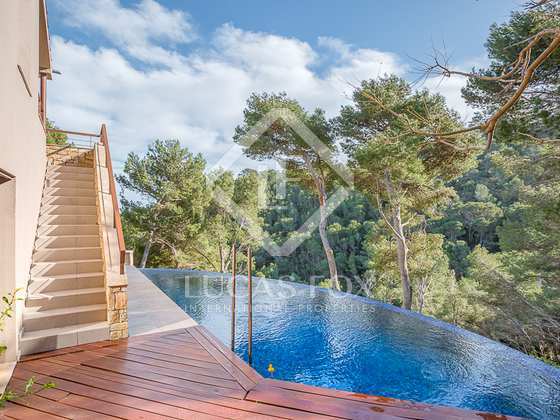 Fantastic modern villa with a rustic stone façade and beautiful views of the sea and the forest in Begur, close to the sea. 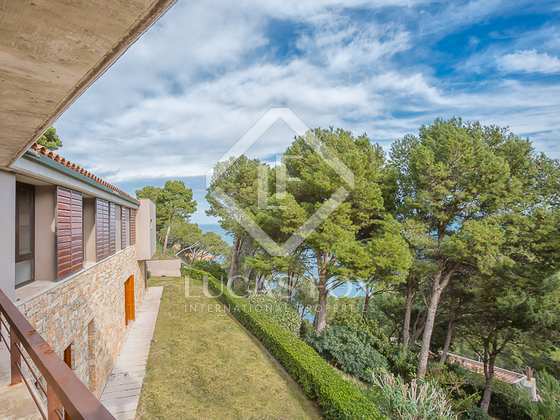 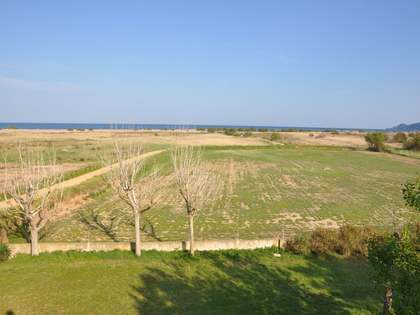 It is in a peaceful location, surrounded by a forest and just 250 metres from the rocky cove. 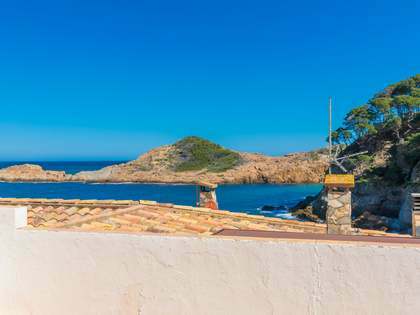 It is just a 6-minute drive away from Sa Tuna, Aiguablava, Fornells and Platja Fonda as well as the picturesque town of Begur. 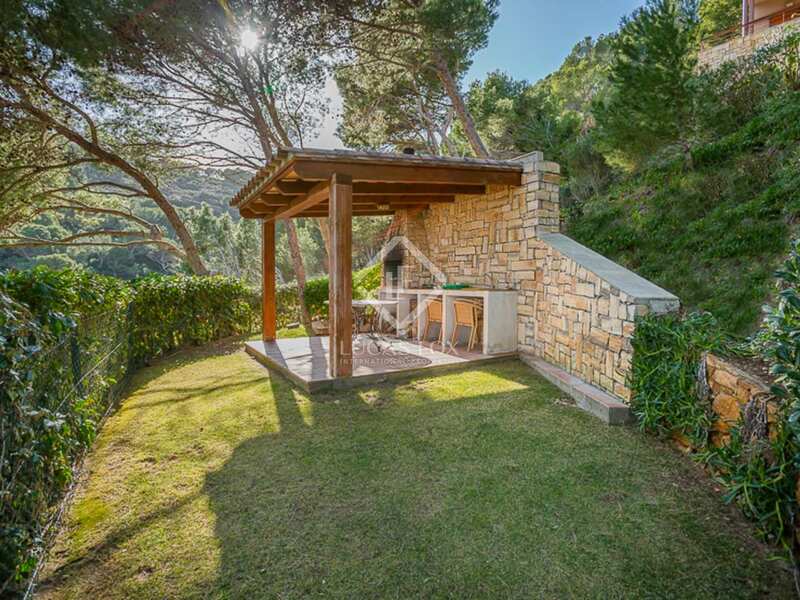 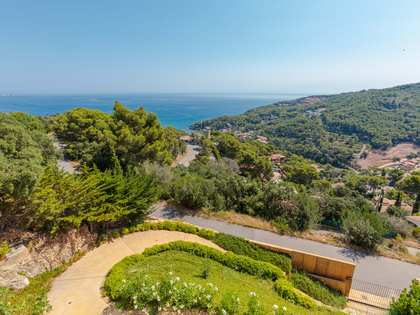 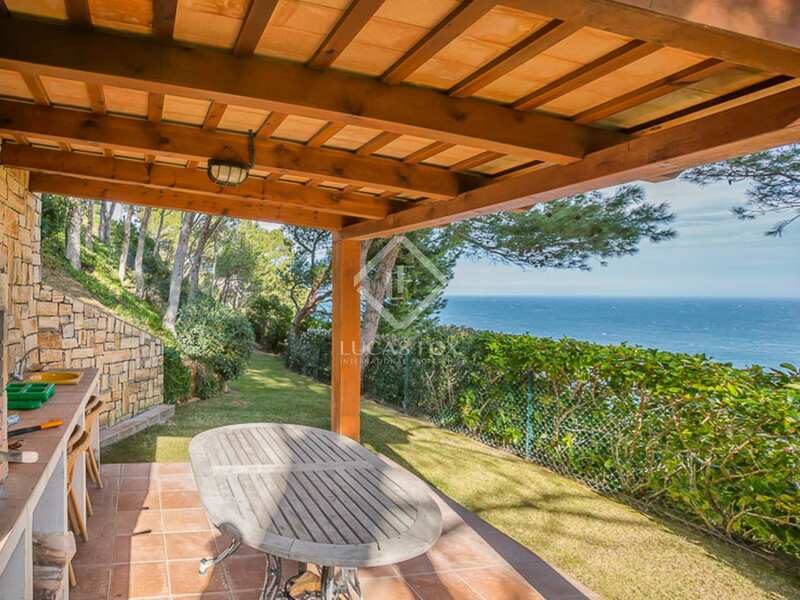 The property is set on a slightly sloping plot with a barbecue area, an infinity pool and lovely views of the sea and the forest. 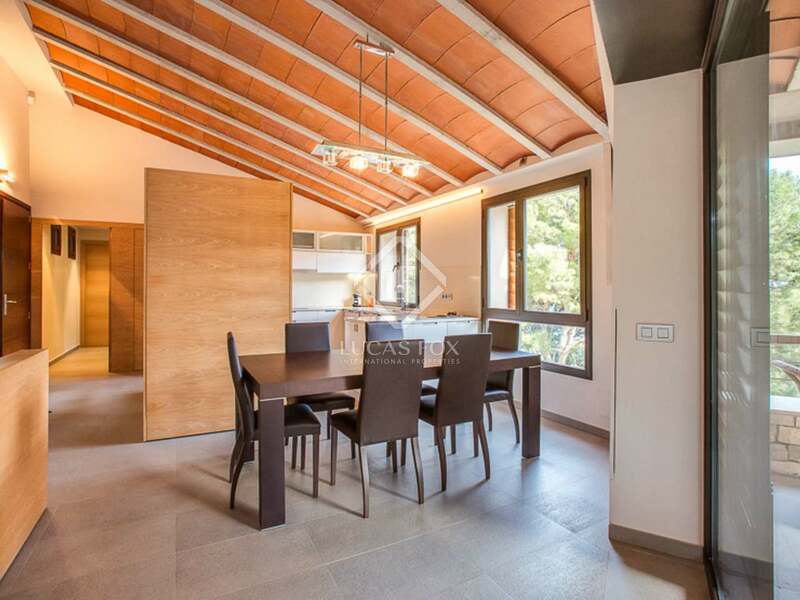 The house boasts a very attractive design and was built in the year 2007 with high quality materials. 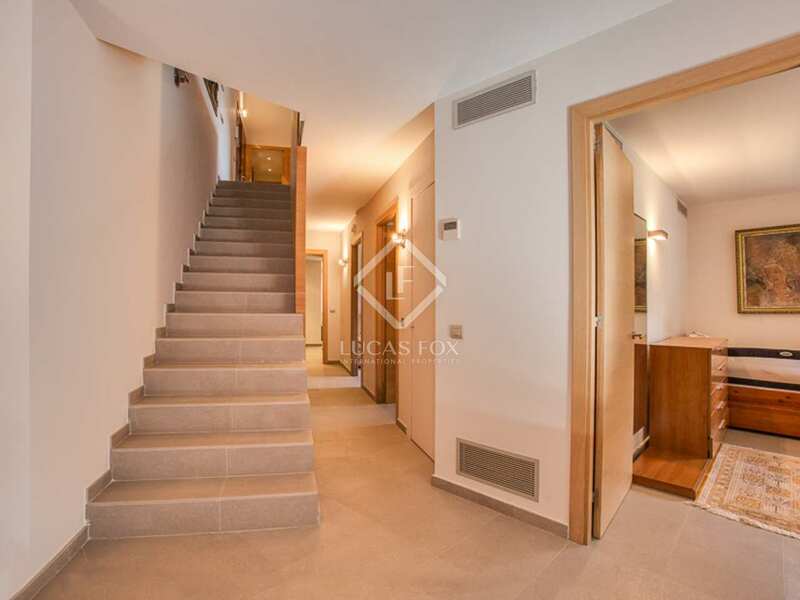 On the ground floor we find an entrance hall which takes us through to the living room with a terrace, the kitchen diner, guest toilet, bedroom suite and a 2-car garage. 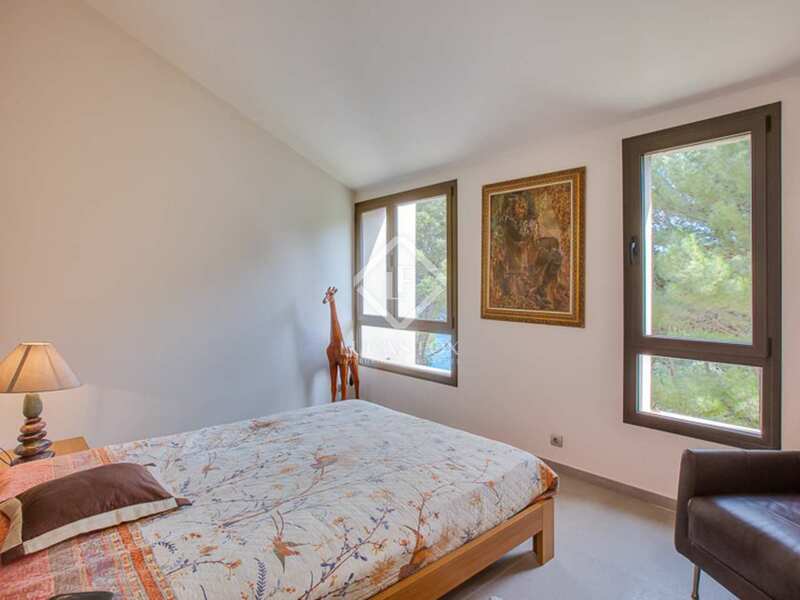 On the first floor we find one single bedroom and 2 en-suite double bedrooms with dressing rooms, one of which enjoys access to the garden. 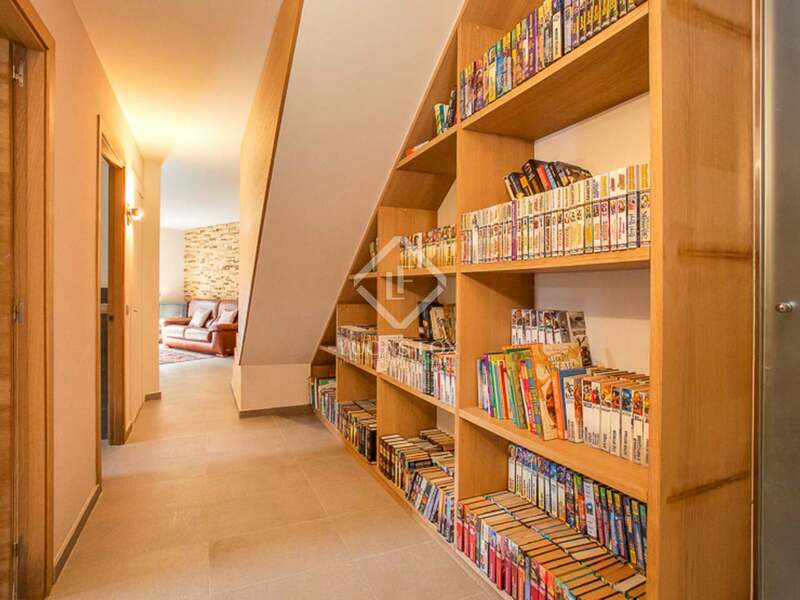 There is also a games room or study on this level. 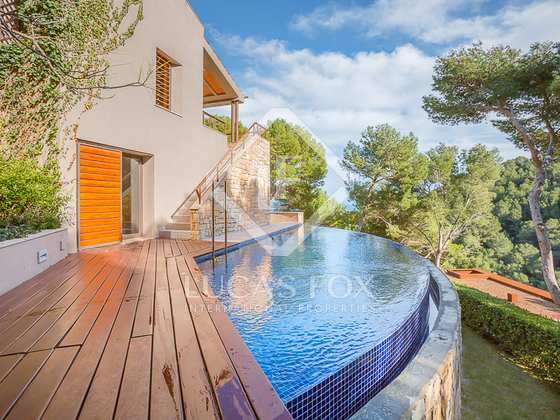 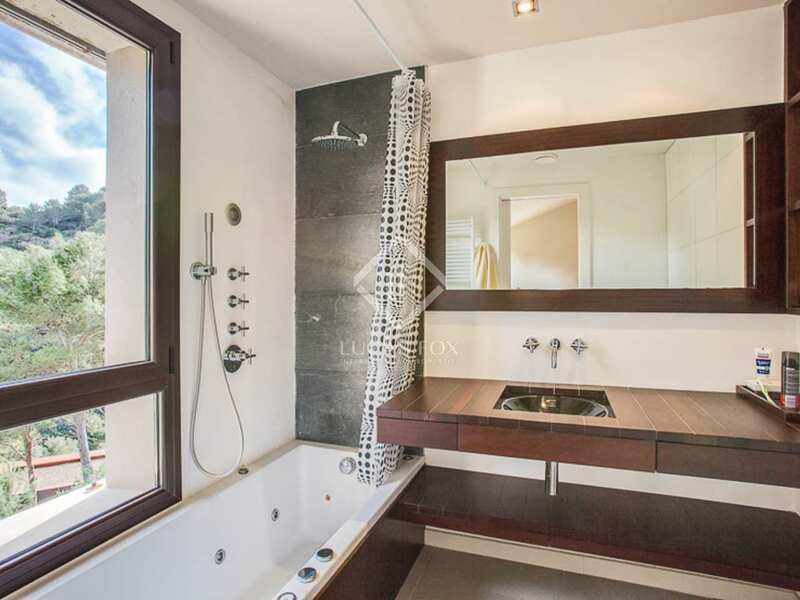 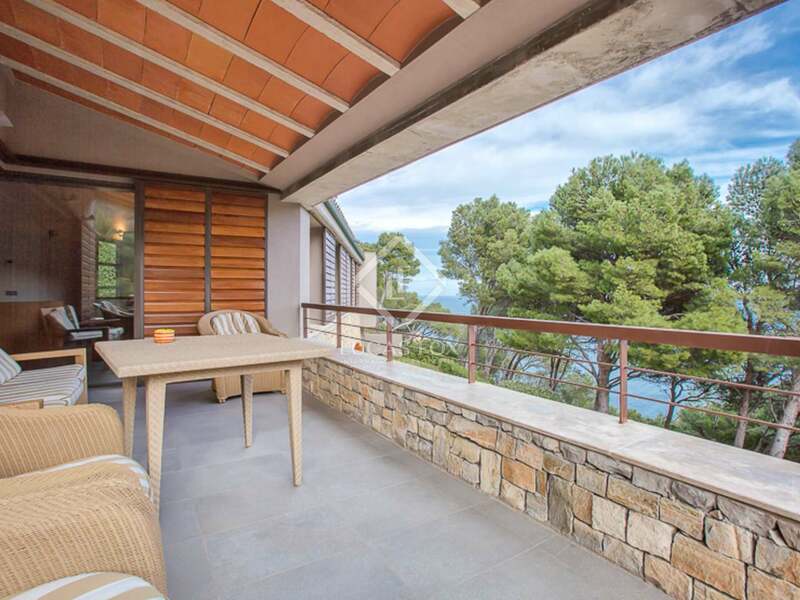 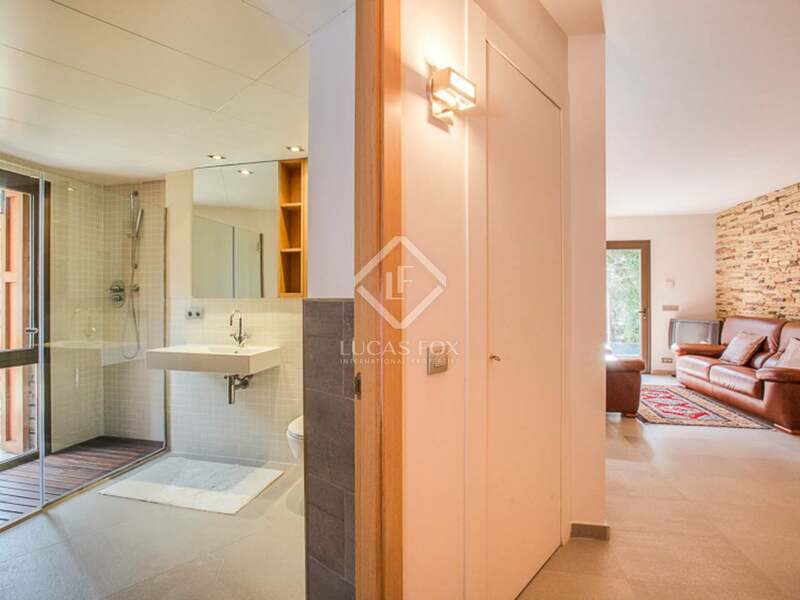 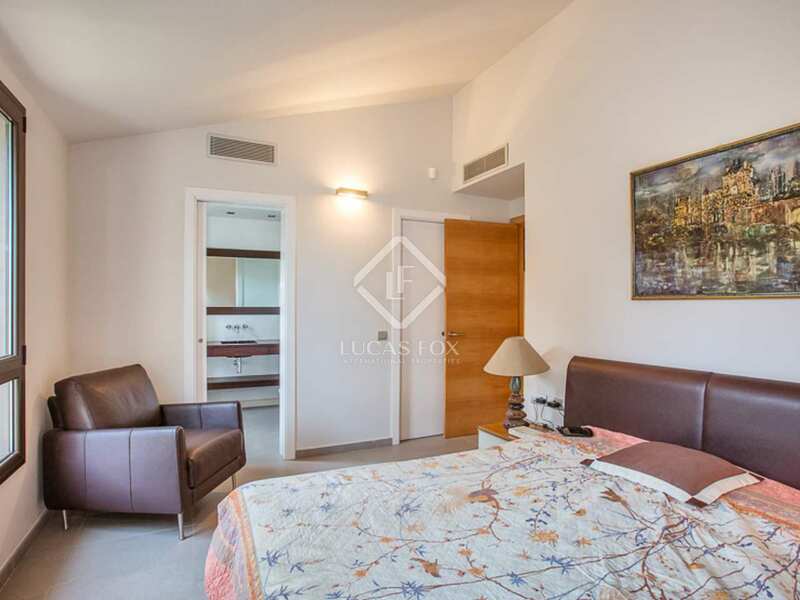 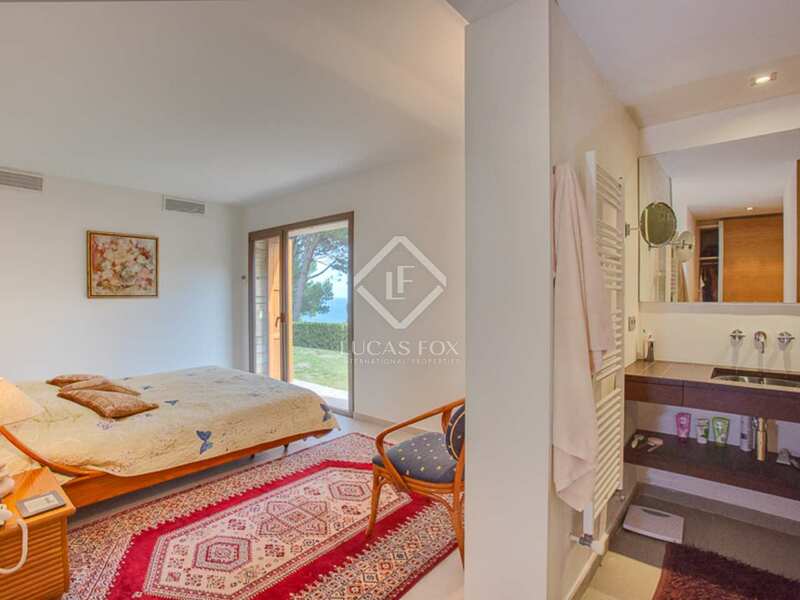 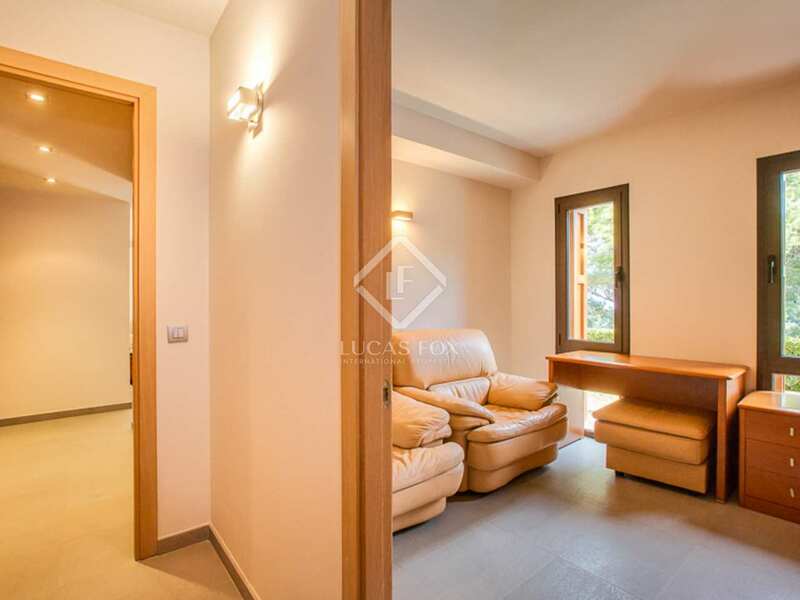 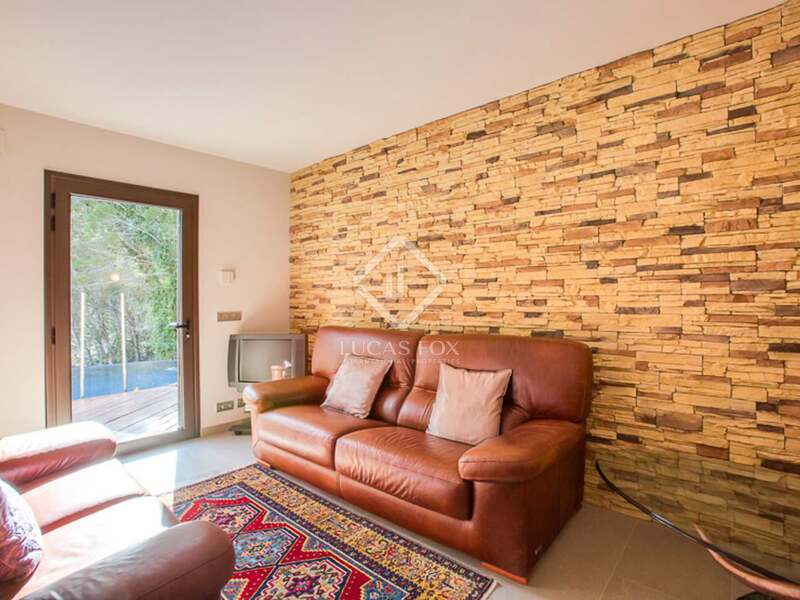 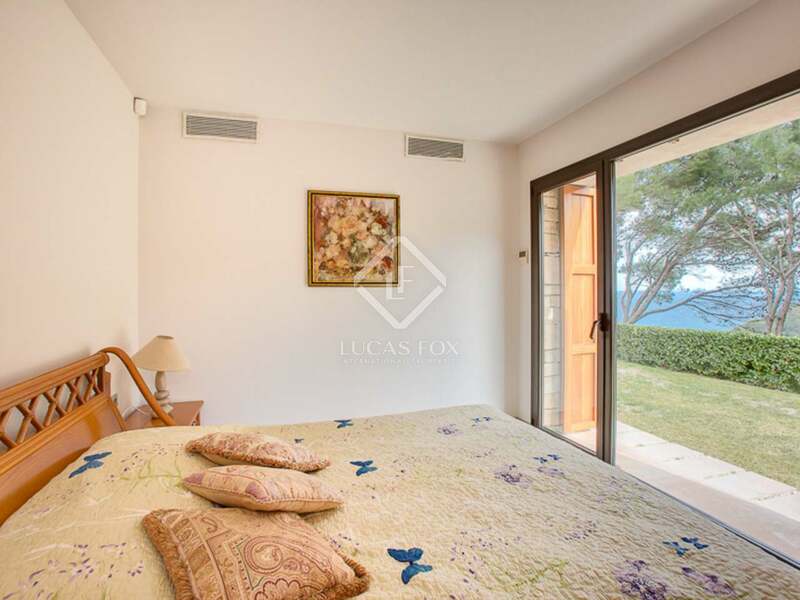 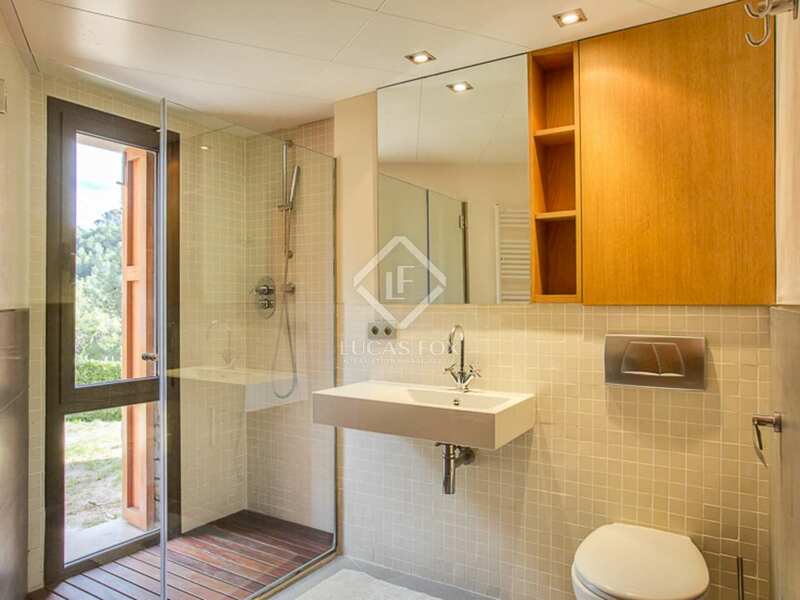 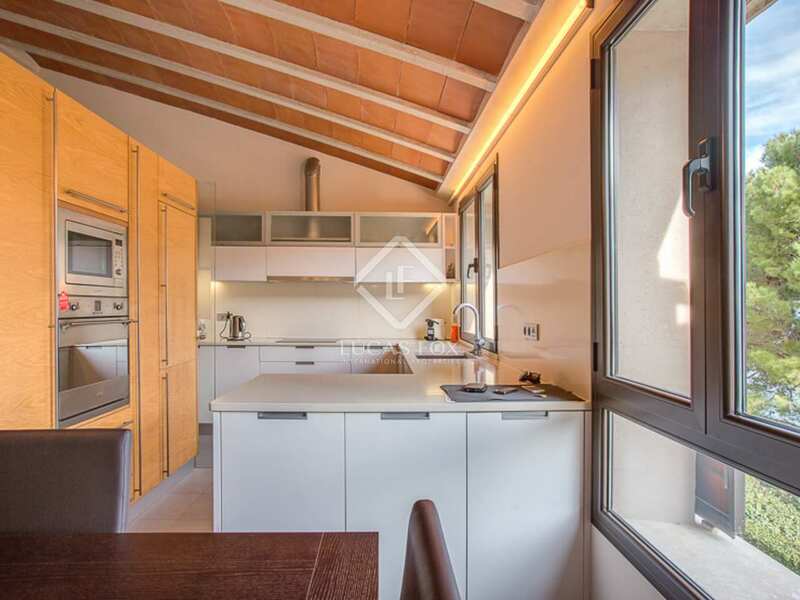 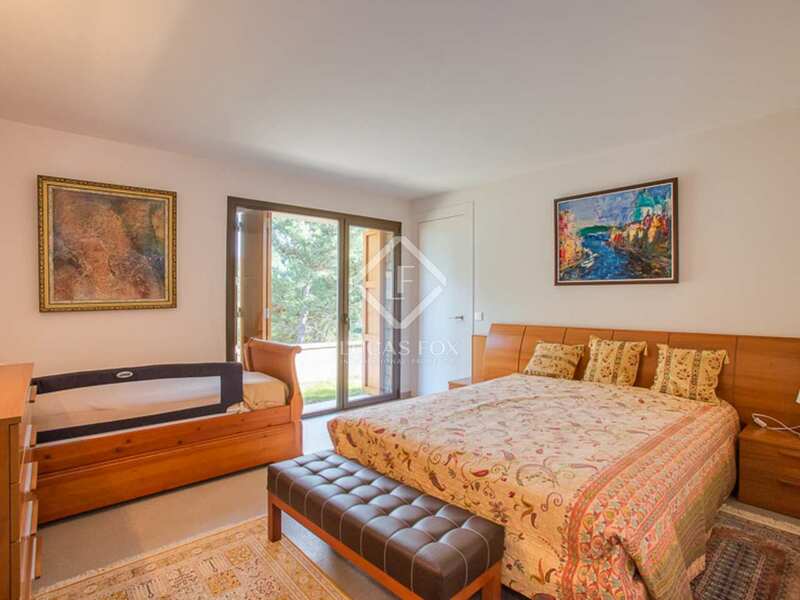 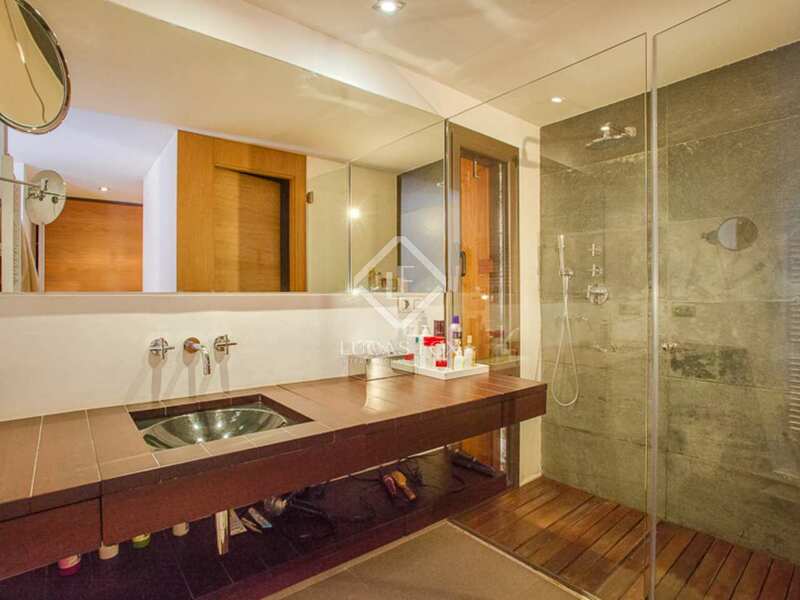 Additional features of this wonderful property include underfloor heating, wooden flooring, various terraces and the unique natural stone façade. 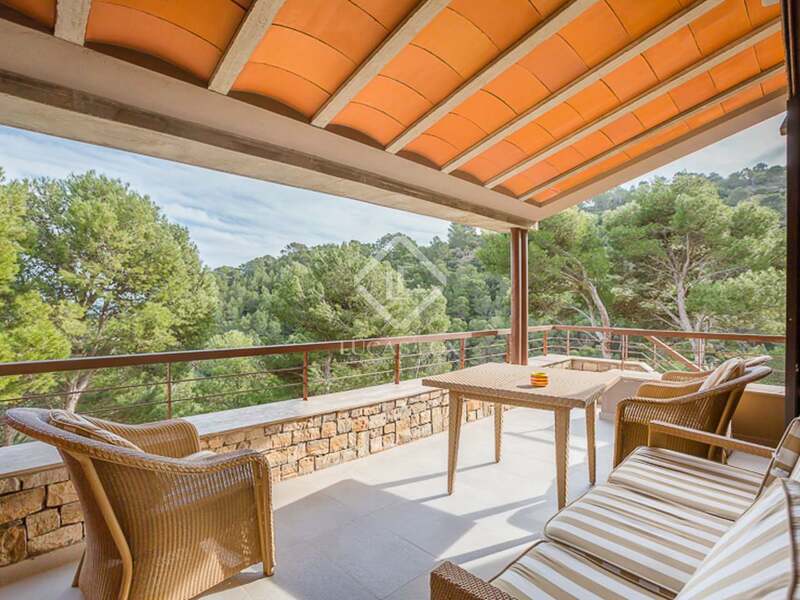 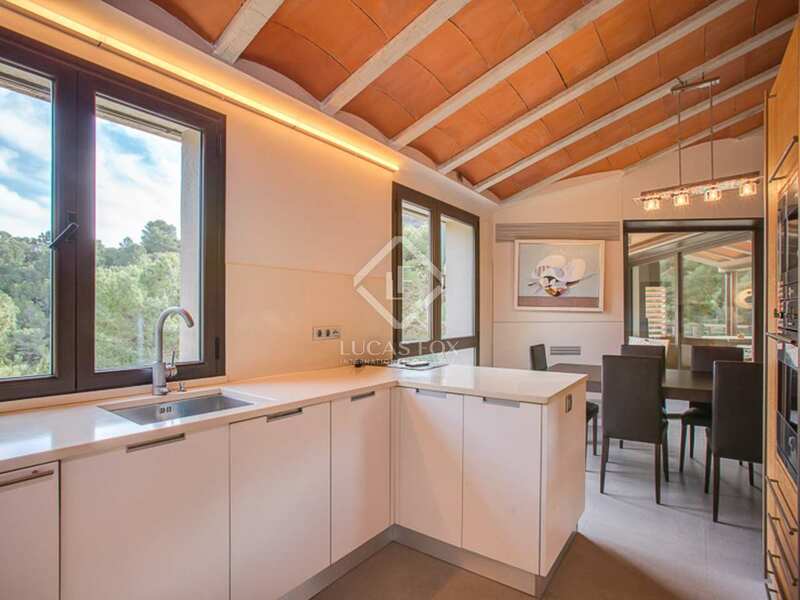 A charming rustic family home with modern finishes, plenty of privacy in a privileged area of the Costa Brava. 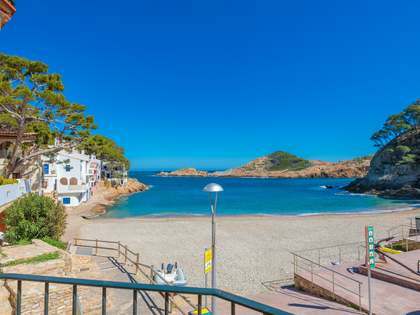 This fanastic Costa Brava property for sale is located close to 4 of the best beaches in the area, Sa Tuna, Platja Fonda , Fornells and Aiguablava. 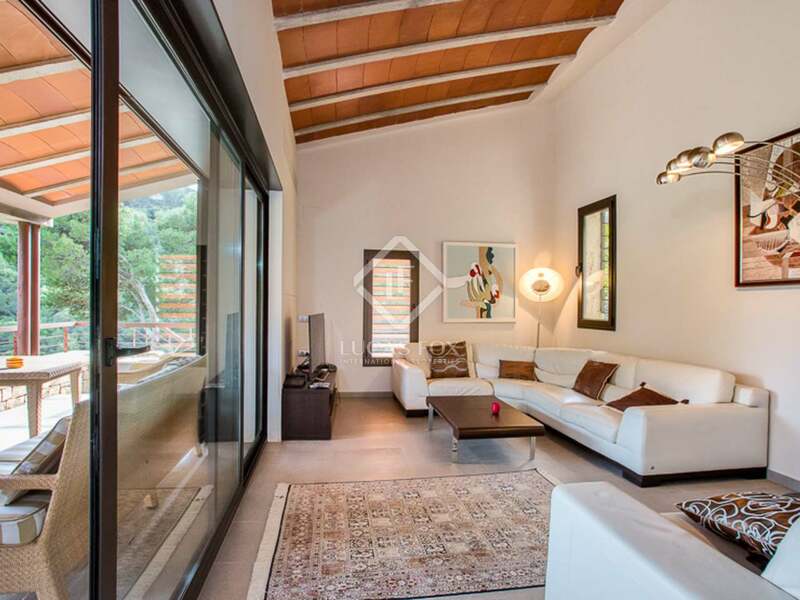 Begur is located in the middle of the Costa Brava and is close to the best beaches, 2 major airports and some wonderful golf courses.